Two weeks ago, Highland Park Michigan announced that it is outsourcing its three schools to a for-profit charter school company, Leona LLC. 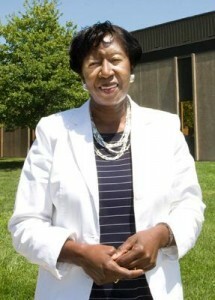 The decision to privatize was made after a state takeover of the schools: in May, Michigan Governor Rick Snyder appointed an emergency manager for the school district, Joyce Parker, and it was Parker who made the decision to privatize Highland Park’s schools. School workers, parents and students led massive protests against cuts in education funding across Pennsylvania this year. 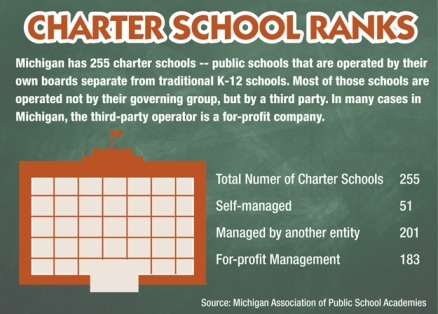 Well, maybe charter school corporations fare better in Michigan than in Pennsylvania? Actually, no. A study published last March by the National Center for the Study of Privatization in Education found that in Michigan, charter schools spend an average per pupil of $774 more on administration and $1140 less on instruction than public schools. Also last March, Bridge Magazine published the results of a study by Public Sector Consultants which showed that in Michigan, public school students outscored charter school students on statewide reading, writing, and math tests. These results are consistent with numerous studies, which show on average test scores of students at charter schools are no better, and more often than not worse, than those of students at public schools. 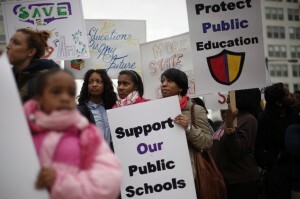 • Charter schools in Michigan spend more money on administration and less on instruction than public schools. Their scores on standardized tests are lower – and standardized tests are the benchmark that the corporate privatizers themselves have held up as the measure of success. 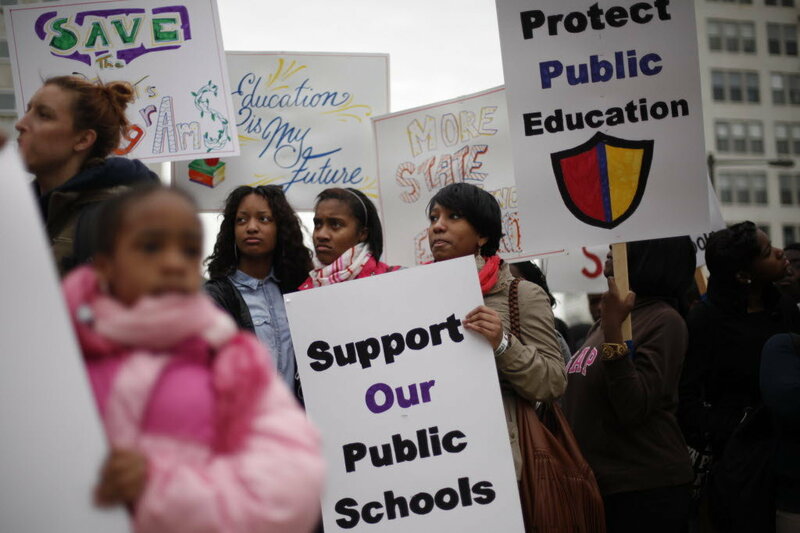 • Outsourcing public schools to private management failed its “laboratory experiment” in Philadelphia. 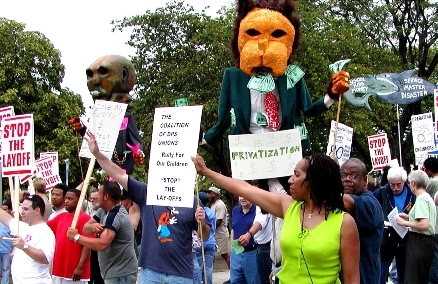 Detroit school workers rally in 2002, during the early stages of the decimation of the DPS district under state control. So why does the Center for Education Reform’s Jeanne Allen hail outsourcing school management as “the new model for public education”? Why do she and other privatizers insist on the need to treat students like lab rats in yet another “laboratory experiment” doomed to failure? Why are Detroit, Philadelphia, New York, Oakland and other large urban districts following New Orleans down the path of school closures and charter school proliferation, when charter schools are outperformed by public schools? Because their goal isn’t educating. It’s fully disenfranchising the public from any control of education. It’s imposing a system that rewards march-in-line obedience and penalizes inquiry and creativity, one that marginalizes and criminalizes students from low-income families, especially students of color. It’s wringing profits out of tests, test prep, textbooks, software, cyber learning, tutoring, schools, school management, after school programs. That’s privatization. Commodifying or re-commodifying everything. Air. Water. Social Security. Medicare. Public education. Taking back from the public what has been public for generations. If we let them.